Quake 2 is another classic from id software.While not modded quite as much as it's predecessor or Q3A, it is still a blast to play and the mod's on offer are bundles of fun. Just step into Quake 2 Rocket Arena, armed with the new and almighty rocket and rail gun and you will be gibbing for hours on end.If you dig fast paced action, then load up the good ole Quake 2, fire up a mod or two and have some fun! Allows you to play your game without ANY enemy interference at all. The same benefit also applies in the MP coop and all level modes from easy to nightmare in SP. QUAKE 2- NO ENEMIES MOD 4/28/2013================================================================Allows you to play your game without ANY enemy interference at all. The same benefit also applies in the MP coop and all level modes from easy to nightmare in SP.================================================================Perfect for testing other Mods and has advantages over the typical 'notarget' state. Unlike 'notarget' you may fire your weapon(s) without any provocation. 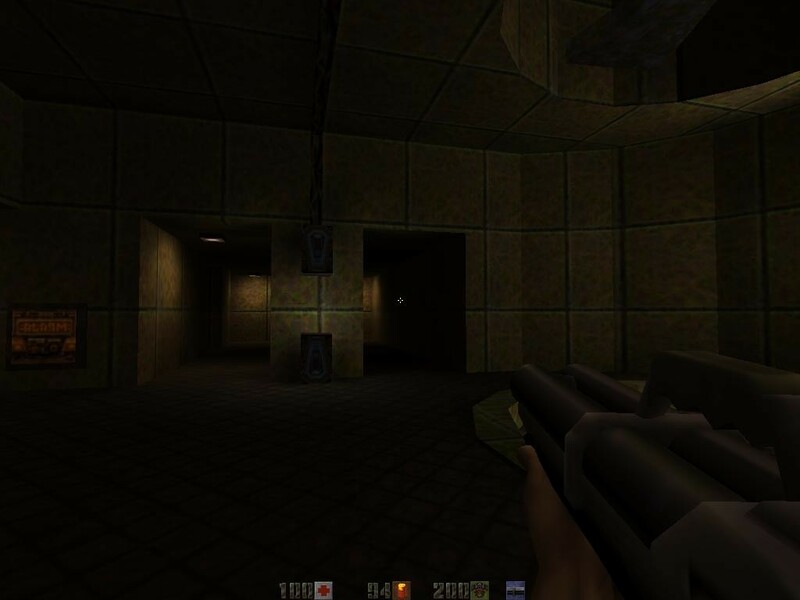 Plus you may travel at will without enemy hindrance by blocking your paths.================================================================Title : Quake 2 No Enemies Filename : gamex86.dll Author : Kalashnikov, BruceEmail Address : uzi9mmauto@yahoo.com Web : QUAKEPC HomepagesQuakepc.com / Quakepc.webs.com Winxp76.net Quake 1-3 Archives Files, Programs and Much More! Description : Basically known as a "Dll Mod" as you replace the games original gamex86.dll with the one from this folder. Additional Credits to : id Software and John D. Carmack for making this awesome Game!! ========================= * How to play this .DLL Mod *1.Make a New Folder called [original] in your Quake2 folder folder then, copy and paste your original gamex86.dll into it. 2. Put the *new* gamex86.dll file directly into your 'baseq2' directory under your Quake II directory. 3. Start Quake 2 game like you always do, with or without a mod. Either SP, MP in Co-Op etc Everything shall be the same without any enemies. Copyright Notice: Feel free to use it as you please. Just include this file in with your .Dll This way everyone can figure out what's going on and why. Disclaimer: This file is provided by the author "as is", and any express or implied warranties, including, but not limited to, the implied warranties of merchantability and fitness for a particular purpose are disclaimed. In absolutely no event shall the author be liable for any direct, indirect, incidental, special, exemplary, or consequential damages (including, but not limited to, procurement of substitute goods or services; loss of use, data, or profits; or business interruption) however caused and on any theory of liability, whether in contract, strict liability, or tort (including negligence or otherwise) arising in any way out of the use of the information herein contained, even if advised of the possibility of such damage. Copyright ©2013 Bruce U. Kalashnikov All rights reserved. Quake II: No Enemies has not been tagged yet.